The coordinator will work collaboratively with the pastoral team and ministry leaders to develop and support programs including a nursery, K-12 education, and youth group. Flexible hours (~20/week) to include some Sunday mornings, evening and weekend events as needed. Trinity Lutheran is a community-focused church with a call for all to continue the work of Jesus. Based in Lawrence, Kansas, Trinity Lutheran Church is a congregation in Central States Synod of the Evangelical Lutheran Church in America (ELCA). St. Luke’s Episcopal Church in Durham, North Carolina is a place to be nurtured in Jesus, and to welcome radically, serve gratefully, and love abundantly. Our core values are Worship, Community, Outreach, Compassionate Caring, and Growing in Christ. We have created a new staff position to support and re-develop programs for our children, youth and families. The ideal candidate for this position will have a deep understanding of and love for the Episcopal Church, be familiar with Godly Play, be an advocate for LGBTQ youth, and have education and/or experience teaching children and youth. The vision of Christ Church, New Bern, is to be a church that loves the way God loves. We recognize that we are constantly being formed as followers of Jesus, made in the image of God. The role of the Director of Christian Formation will be to engage, support, and equip avenues of Christian Formation for all ages including Sundays, mid-week opportunities, seasonal programs, and special events. Working with Rector, the Director of Christian Formation (DCF) will help set the vision and direction for Christian formation through educational opportunities for children, youth, and adults at Christ Church, and work with volunteers, vestry, and staff to carry out that vision. This position builds upon the work of our soon-to-depart youth & children's minister in helping us work towards Formation across all generations, helping us continue to be a church that carries God's love into the world. Our next Youth Minister will oversee a program that instills in our youth the belief that all people are loved unconditionally by God in Jesus Christ and that God is calling each of them to serve others in God’s name. To accomplish that, this person will develop meaningful, pastoral relationships with the youth of our parish, their parents, and our volunteers, offering themselves as a resource to those who seek a deeper faith. With the support of supervising staff, this person will plan and implement year-round Christian formation programs, regular service projects, and special events for the youth. She or he will communicate clearly with volunteers and share leadership responsibilities with them. This person also will help deepen the youth program’s connection with the other ministries of the parish. •	Prepare invoices for payment. •	Accurately record pledges in database and prepare quarterly giving reports for parishioners. •	Assist in the completion of the annual Parochial Report. •	Work in concert with the diocese to ensure clergy and staff compensation and benefits are accurate. •	Answer office phones and emails. •	Maintain the Master Calendar for all church activities. •	Inventory and order supplies. •	Update the church’s website. •	Other projects as assigned by the rector. The Episcopal Church of the Advent is seeking a female youth minister to join our staff team in order to further strengthen an already successful ministry of reaching and engaging middle and high school aged youth in worship, formation, fellowship, service to others, and fun. The ideal candidate will have a background in youth ministry, and be familiar with the ethos, practices, and theology of the Episcopal Church. This individual needs to be energetic, bright, creative, and have a playful attitude. Proven success and a strong desire to work collaboratively to further develop innovative opportunities to deepen the faith of youth and their families is a must. Our Vision Statement, “That Christ’s light be seen in us,” is at the heart of our ministry and mission and we strive to reflect this in everything we do. The Christian Formation Missioner serves in support of the Bishop of Southwestern Virginia's ministry as a diocesan resource for local ministry efforts in parishes. She or he will have a primary focus on children's ministry and secondary responsibilities for college and young adult ministry. The DCE will be responsible for the planning, implementation and oversight of educational programming, in cooperation with the Pastor, Session, Education Ministry Team and congregation. This includes opportunities for preschool and elementary age children, youth, adults and seniors, a combination of age appropriate materials and intergenerational learning as well as supporting the mission and ministry of the congregation with an average worship attendance of 80 and education participation of 35-40.
fulfill its calling to welcome, nurture, equip, and serve. Located in upper northwest Washington, D.C., St. Columba’s Episcopal Church (www.columba.org) is a vibrant, urban congregation committed to proclaiming the Gospel through worship and ministry, as individuals and as a congregation. The church is seeking an experienced full-time lay Director of Youth Ministries (DYM) who will serve as a pastor, teacher, evangelist, and administrator who works collegially with staff, parishioners, and the Youth Council to share the love of Christ and to develop and implement offerings and programs that serve the overall mission of the church. Christ Church is located in the seaside community of Ponte Vedra Beach, Florida, near Jacksonville. Founded in 1951, Christ Church is a worshiping community of 6,400. Average Sunday attendance is over 1,400 at nine Eucharistic services on our two campuses. The Assistant Director of Youth Ministry will work to implement a relational ministry with middle school and high school youth and their families consistent with the Christ Church mission statement, “transforming lives through the love of God in Christ.” This person will be part of a Family Formation Team, working alongside the Director of Youth Ministry and reporting to the Director of Family Ministry. This is a full time position with benefits, requiring approximately 40 hours per week including nights, weekends, and multi-day summer trips. Qualifications include: Bachelors degree or equivalent; a well-grounded and robust Christian faith, with the ability to articulate it to young people; and a commitment to working with young people, parents, and volunteers in a high-energy and dynamic environment. and volunteers. The Director will oversee ongoing family ministries at CSL by leading ministry events, aiding in the transformative education of children and youth in accordance with the teachings of the Episcopal Church, and becoming actively involved in the life of CSL. The Director’s chief responsibility will be to encourage and support existing programs and develop new ones that provide a place for children and youth to deepen their relationship with God. The position also includes responsibility for overseeing a part-time Children’s Minister and Nursery staff. We are seeking an Assistant, either lay or ordained, to partner with us in creating a sacramental, missional church outside the walls of the church while also helping us strengthen and expand ministry with children, youth, and families inside and outside the walls of Ascension. The Assistant will work in partnership with staff and vestry to better understand and engage in God’s mission in our community and strengthen the opportunities for faith formation and spiritual renewal for children, youth, and families. This position also includes the sharing of sacramental and liturgical responsibilities with the Rector. We are looking for candidates, both lay and ordained, who are self-motivated and creative; have strong relational skills; connect well with youth, young children, and parents; are excited to get involved with the community beyond the church; are self-aware; and are excited to experiment and learn as we figure out together how to expand the reach of the Episcopal Church in our community. 	Oversee Christian formation for children and youth ages 0-18. Includes but is not limited to recruiting, training and working with volunteers to lead weekly formation programs for youth and children; youth confirmation preparation, mission trips& pilgrimages, outreach. 	Work with clergy, staff, vestry, & volunteers to create a sacramental missional church outside the walls of Ascension. 	Engage in God’s mission in our community. 	For Clergy: Share sacramental and liturgical responsibilities with clergy. 	For Laity: Share preaching and lay liturgical responsibilities with clergy. St. James is a historic, vibrant, and growing downtown congregation with an excellent Day School in Baton Rouge, serving over 2000 members with an Average Sunday Attendance around 300. Three years ago, a dedicated group of parents reignited the family ministry program at St. James and involvement has been growing since. However, in order to take next steps in growing this important ministry, St. James seeks a dedicated and faithful leader. The Family Ministry Coordinator’s job is to work with parishioners to envision creative and sustainable ministries for the children, youth, and parents of St. James. In searching for a new Director of Youth Ministry, we seek someone who will enthusiastically share and help continue to shape and strengthen our ministry. The job is full-time, and the benefits and compensation package are competitive. •	A few years’ experience in this field and/or a seminary education. St. Paul’s is seeking a professional Christian educator to join our staff at a moment of growth and opportunity in the life of our parish. The Director of Children’s & Youth Ministries will be a key member of a leadership team—including a new Rector (2017), new Music Director (2018), new University Chaplain & Associate Rector (2018), and experienced Parish Administrator—working on vision and the setting of new precedents and priorities for the next chapter in our life and ministry. Applicants should have a Master’s degree in Christian education or a closely related field, and a deep appreciation for the unique theological and liturgical heritage of the Episcopal Church. Please submit a résumé, along with a letter to the Rector, the Rev. Will Peyton, describing why you think you might be called to this ministry. Application materials should be addressed to [email protected], and received by March 31. Passionate children's minister will provide a vibrant, Christ-centered learning environment for children and families while working with volunteers and staff to create programs and events. Working alongside the Associate for Formation, the Adult Formation Minister will develop a comprehensive adult Christian formation and education program for Saint Michael and All Angels. St. Alban’s Episcopal Church in Harlingen, Texas, is looking for a Youth Minister who dares to fall in love with their church. Harlingen is the most affordable place to live in the United States (according to CBS News). Nestled between two larger cities, Harlingen has two 6A high schools and a welcoming spirit where authentic community forms. St. Alban’s is an extension of these values in creating a generous, non-judgmental atmosphere. People are genuine in their care and support for each other and the staff of the church. The newly hired Youth Minister will be tasked with building a youth ministry in a community ready to embrace new opportunities and relate to the church’s school, organizing chapel and social media. The youth meet in the ROC, includes a gym, showers, kitchen, comfortable meeting room and rock wall. Harlingen is only 40 minutes from the beach at South Padre Island. St. Mark’s Episcopal Church in Jacksonville, Florida is seeking a full-time Director of Youth Ministry to oversee discipleship of students in 6th-12th grades. This individual should be a purposeful, caring, excited leader who has a solid relationship with Jesus Christ and a heart for youth, their parents, and the teams of the church who pour into young people. St. Mark’s is a neighborhood church with a multi-generational congregation that worships using both contemporary and traditional music. This position would report directly to the Associate Rector for Christian Formation, work closely with the Director of Children’s Ministry, and collaborate regularly with St. Mark’s Episcopal Day School. Summary: Support and lead the ongoing youth ministries at Church of the Good Shepherd by building deep and meaningful relationships, modeling a Christ-like lifestyle of faith, assisting and leading ministry events, aiding in the transformative education of youth in accordance with the teachings and rites of the Episcopal Church, and becoming actively involved in the life of Good Shepherd. And to fulfill the mission of the staff to equip, empower and enable our members to carry out the mission of the church. The right candidate will be prepared and ready to convey the truth of the gospel with the understanding that being the Church to the world is the call God has placed on us. We have heard the call to “go” this position will be filled by a true worker in the field pointing the way to Jesus for the Glory of God alone. The Episcopal Church of the Ascension in Hickory NC is seeking an Assistant Rector to partner with us in creating a sacramental, missional church outside the walls of the church while also helping us strengthen and expand ministry with children, youth, and families inside and outside the walls of Ascension. The Assistant will work in partnership with staff and vestry to better understand and engage in God’s mission in our community and strengthen the opportunities for faith formation and spiritual renewal for children, youth, and families. This position also requires the sharing of sacramental and liturgical responsibilities with the Rector for traditional worship services. 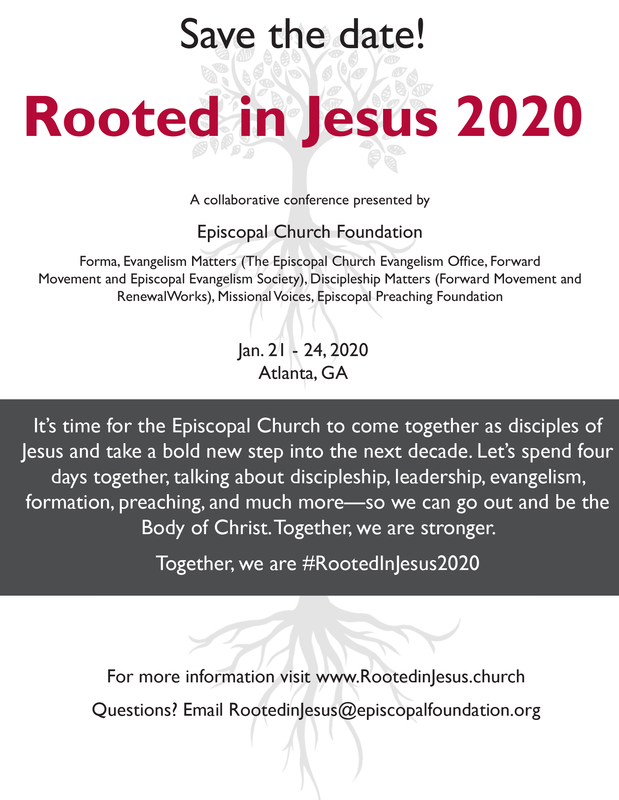 We are looking for candidates who are self-motivated and creative; have strong relational skills; connect well with youth, young children, and parents; are excited to get involved with the community beyond the church; are self-aware; and are excited to experiment and learn as we figure out together how to expand the reach of the Episcopal Church in our community. Christ Church Greenwich seeks a Senior Associate Rector who is eager to join the Rev’d Marek Zabriskie, the church’s 10th rector, near the beginning of his rectorate, a period of excitement and forward thinking in the life of the parish and community. The rector seeks a right hand in ministry who will commit to a minimum of five years in the position. We seek an established priest with a minimum of five years’ parish experience. The ideal candidate will be able to work cheerfully and productively with the rector, fellow clergy, church staff, lay leadership, and volunteers.